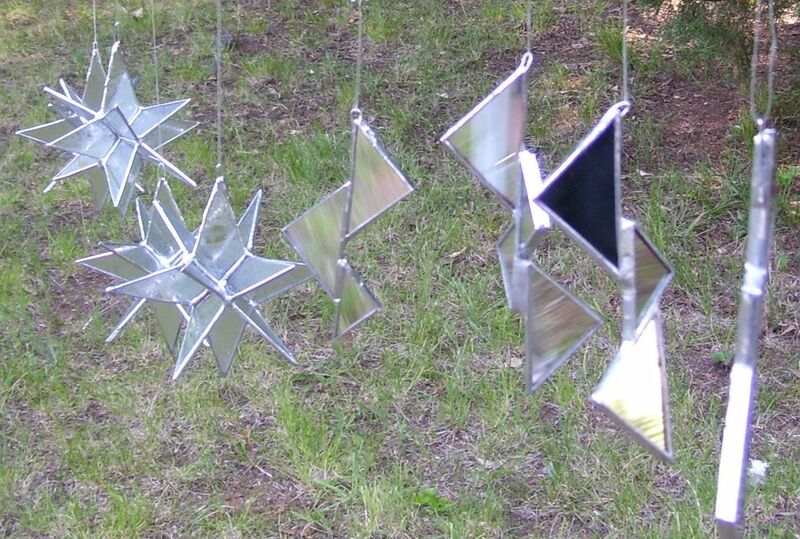 You’ve already seen the suncatchers I made in the week prior to June 1, 2008. The week before that, the one we’re visiting now, was the week of the return to glass (for the 1st time since last summer). 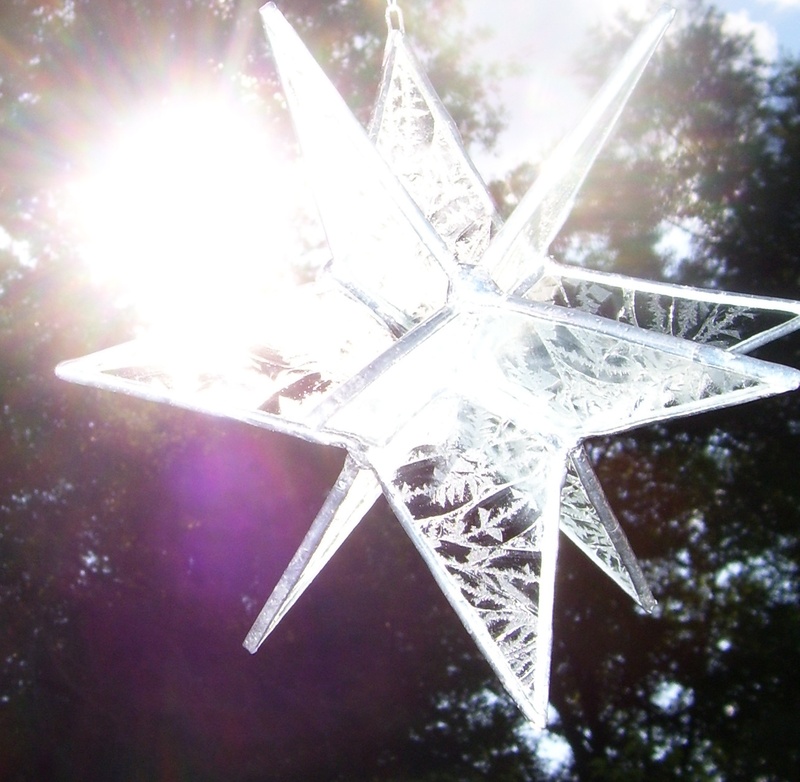 In that week, I made five stars of gluechip glass. I made two beveled candleholders (for tiny candles). 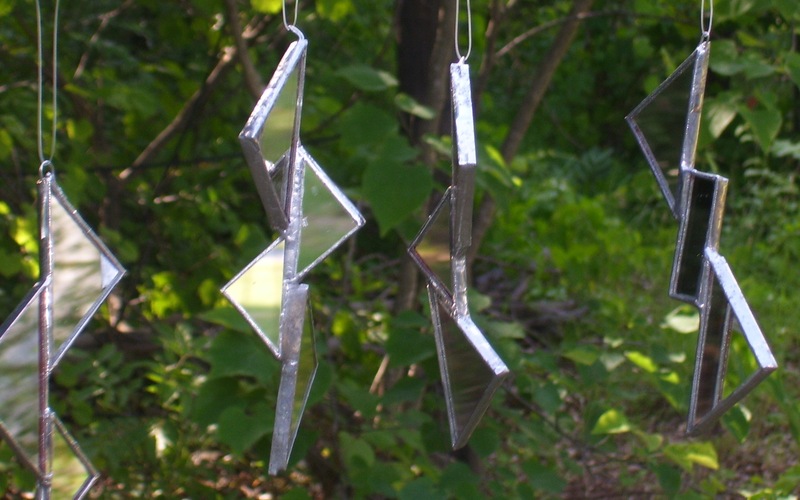 And, I made four suncatchers of mirrored pieces. These are the glass items in the photos below. 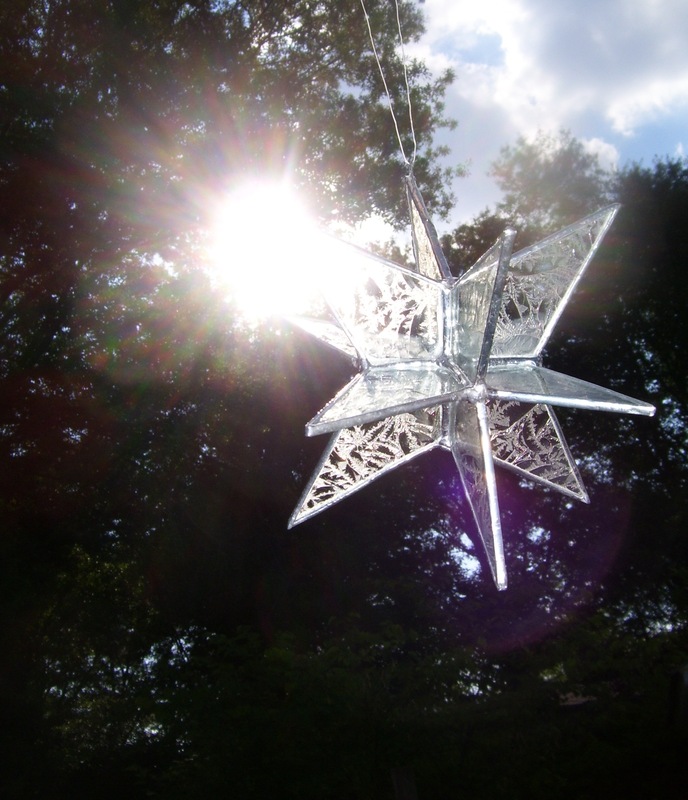 This entry was posted on June 9, 2008 at 10:44 am and is filed under Copper Foil Method, Foiled and Soldered, Glue Chip Glass, Mirrors, Stained Glass, Stars, Straight Lines and Angles, Suncatchers. You can follow any responses to this entry through the RSS 2.0 feed. You can leave a response, or trackback from your own site.